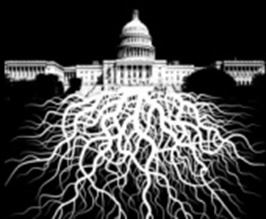 Deep State and the Potential End of European and American Democracy: Trouble in Paradise? With that as an introduction, I’d like to now proceed to an analysis of the book’s thesis on European democracy by expanding it to American democracy, to demonstrate that in many ways the two may be intertwined and that they may have a common future, for better or for worse, as the case may turn out to be. I have subtitled my article “Trouble in Paradise” which is also the subtitle of chapter four of the above mentioned book: “The European Union: Trouble in Paradise?” Indeed, there is trouble in paradise but that paradise is called democracy and there is a river that traverses both sides: it’s called the Atlantic Ocean. Their destiny may be intertwined, far more than we care to admit when we declare that it is time to go our separate ways. Before beginning my own analysis let me provide the readers with the titles of the 8 chapters, the introduction, and the conclusion of the book. It will give the readers a better idea of its import. I recommend it as an eye-opener of sorts to the present predicament of Western Civilization. 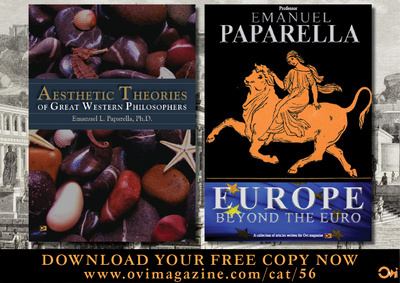 Introduction: The European Nightmare; chapter 1: Russia: On Europe’s Edge; chapter 2: Hungary: Democracy without democrats; chapter 3: Germany: The Return of Rapallo? ; chapter 4: The European Union: Trouble in Paradise? 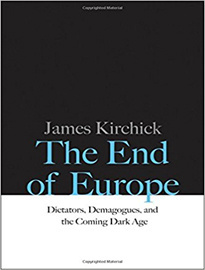 ; chapter 5: France without Jews; chapter 6: Brexit: From Great Britain to Little England; chapter 7: Greece: From Polis to Populists; chapter 8: Ukraine: The New West Berlin; Conclusion: The European Dream. As mentioned, of particular interest are the chapters on Russia, the one on England, and the one on the EU. They make the point that there is indeed a democracy deficit in Europe which, in tandem with a rising ultra-nationalism, dangerously close to authoritarianism and fascism, is endangering the whole democratic structure built in Western Europe after World War II and culminating with the new polity called the European Union. It merits mention here that there is presently, prominently lodged in the White House, a security advisor by the name of Steven Bannon, who used to edit the Breibart News, an eminent conspiracy theory publication. He has been amply mentioned and examined at length in other pieces in this publication. What they all have in common is a commonly perceived enemy which they call Deep State. But what might Deep State be? In the above mentioned article it is conveyed best by its illustration showing the Washington Capital as the tree on top being sustained by its deep roots beneath it. Of course those roots are considered nefarious. If that is in fact the case, the question logically arises: now that the Republican party controls both Congress and the Executive, whom are those roots sustaining? I suppose the logical answer is the present legitimate government of the US, and that’s why they need to be eradicated as enemies of the state or they will corrupt that legitimate and pure state. In fact attorney Manchanda does identify those roots. They are at the very least: the original Nazi intelligentia, spies brought over by the American elites and privileged classes (Trump excluded, of course, for he is an Andrew Jackson populist), after World War II. Names are supplied: Gottlieb von Braun Rudolph, plus 15,000 others who were supplied with fake identities so that they could establish the foundations of Deep State. So, Deep State is in its origins a Neo-Nazi state. Also Trotsky Communists wishing to establish a New World Order based on intellectual elitism and “Luciferian ideals,” among which “God according to my right” and social engineering (read the social programs which are not fully American). Also, the power to kill and murder at will (read the intelligence agencies that keep the Deep State in power); not to mention the spy agencies, the media, the Federal Reserve. Finally, Mr. Manchanda goes on, the American people wake up and voilà, Donald Trump appears on the scene as if on a cloud (as we witnessed at the reality show that was the Republican National Convention). Populism is here to save the day. But there are many left-overs, the “useful idiots” and “bastards” who have struck a pact with the Lucifer and are ready to strike back to protect the New World Order established after World War II. They conduct the resistance via Mainstream Media, Face Book, Social Media; hence the massive investigations going on as we speak by Deep State agents on Capital Hill against Trump. A purge may be needed and the sooner the better. How do we recognize those subversive agents? Manchanda does not hesitate to enlighten us by furnishing 7 telling signs: 1) they wish to start World War III. Their tactic is to demonize peace-loving, non-threatening nations such as Russia, Iran, Syria, China, 2) divide and conquer strategy focusing on divisions and centrifugal forces rather than a united patriotic stance as advocated by Trump, 3) fighting the alternative media (read the deceiving lying media contemptuous of facts) as 4) practiced by the Tweeter in Chief; 5) decoupling Europe from the US by destroying NATO and the Atlantic allegiance, 6) the refusal to abolish the “Luciferin” Federal Reserve Bank, 7) social engineering (the social programs) smelling of socialism, and the manipulation of the judiciary and the courts. It goes without saying that Alternate State advocates find all the above as conspiracies against the American people, against Human Rights and against the Constitution, as judged by them or some ultraconservative judge, of course. If it all sounds slightly incoherent and deranged, it is. That’s what a pernicious ideology produces when lodged firmly in the human mind. It leads to the denial of facts and reality itself. What elsewhere I have dubbed the reign of Emperor Caligula. But the most alarming and troubling phenomenon, is not the conspiracy theory itself, which can easily be judged by its own merits and sheer lack of common sense, but what it reveals, when examined carefully, about loyalty to truly democratic ideals, and the anti-democratic authoritarian spirit it reveals. What you have at play is addiction to power and influence parading as populist love of the underprivileged and the powerless. Slogans such as “unpatriotic bastards,” “fake news” “alternative media” “non threatening nations such as Russia, Iran, Syria” give the game away. The ultimate Machiavellian goal seems clear enough: to eliminate democracy as we know it and as implemented after it was rescued by World War II some seventy years ago. Perhaps this brief review of a conspiracy theory alive and well in the present White House will furnish an initial idea of the present predicament of democracy in the West (on both sides of the Atlantic). We have reached the sorry stage wherein Europe and the US, bastions of democratic values around the world, now have to confront their own demons which they thought they had put to rest once and for all. The old pathologies and centrifugal forces of rabid nationalism, authoritarianism, territorial aggression, fascism and racism, are menacing the consensus reached after World War II while the present leaders, so called, pursue shallow disingenuous policies such as Brexit, and Moslem bans, even anti-Semitism, and leave the two continents of Europe and North-America open to Russian imperial ambitions out to destabilize, divide and conquer, not so much with the threat of nuclear weapon which could prove self-destroying, but with digital information techniques, considered the new weapon to achieve geo-political parity; a strategy which has found a more than willing ally in Trump and his conspiracy theory minions, beginning with Steve Bannon, who typically advocates the abolishing of NATO and the Atlantic Alliance. In other words, the liberal world order fought over in World War II and guaranteeing the two continents’ security, is now in serious jeopardy. What did Marx say? “Those who neglect to pay attention to their own history are bound to repeat it.” Marx got it wrong on many fronts, but perhaps on this one he had it right on target. He who has ears to hear, let him hear.